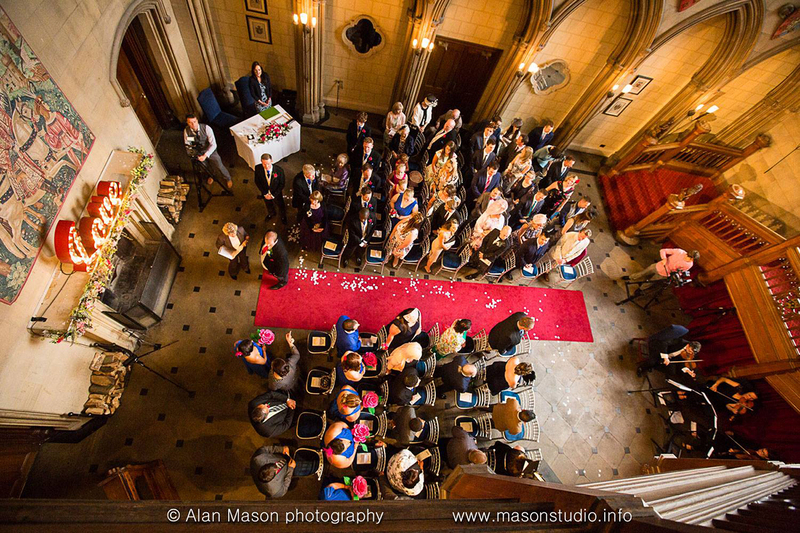 All of these photos have been taken at various weddings by Alan Mason Photography. Always a pleasure to work with Alan and his work has consistently been of the highest quality for decades. Each album tells a story you will never forget. 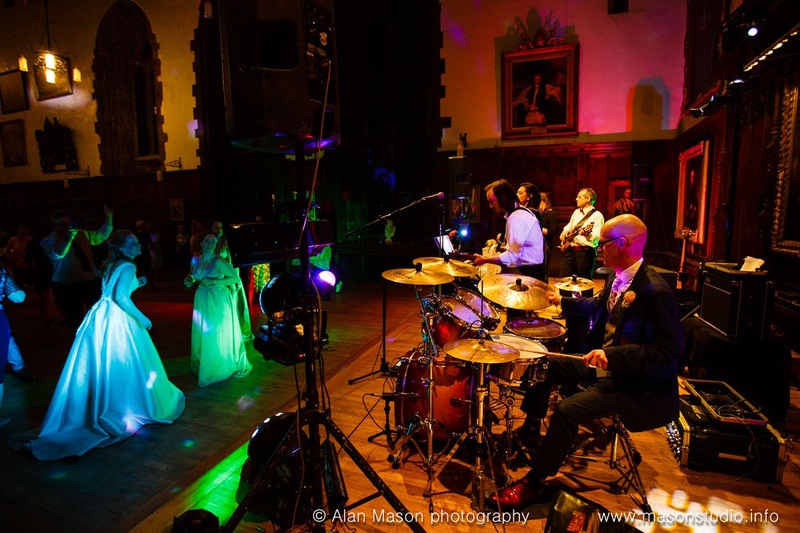 North East Soiree offer fully professional entertainment for weddings, birthday parties and corporate entertainment for all over the North East of England. 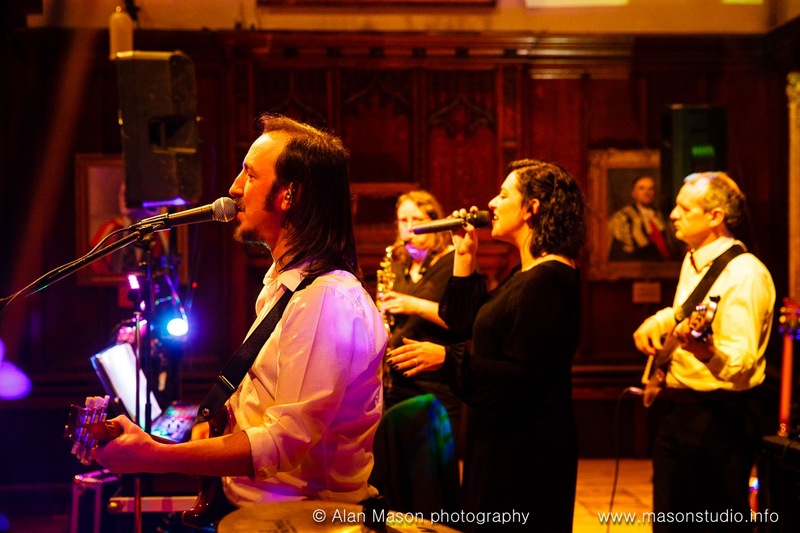 We regularly perform as String Quartet, Jazz Band, Swing Band, Ceilidh Band, Medieval Music and the superb Party Band in Durham, Newcastle upon tyne, Sunderland, Middlesbrough, Darlington in fact all over Tyne and Wear, Northumberland, County Durham, Teeside and North Yorkshire. This is Canon in D by Pachelbel performed at Matfen Hall in Northumberland. 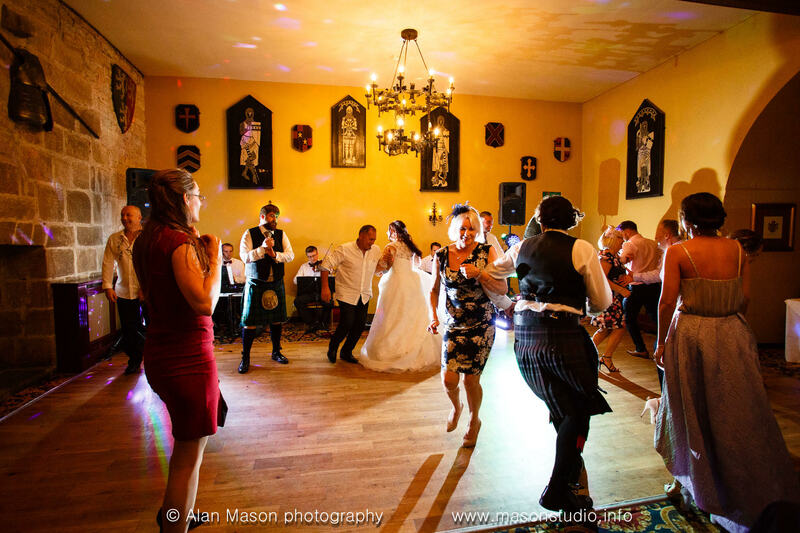 This is an extract from a wedding at Le Petit Chateau in Otterburn, Northumberland. 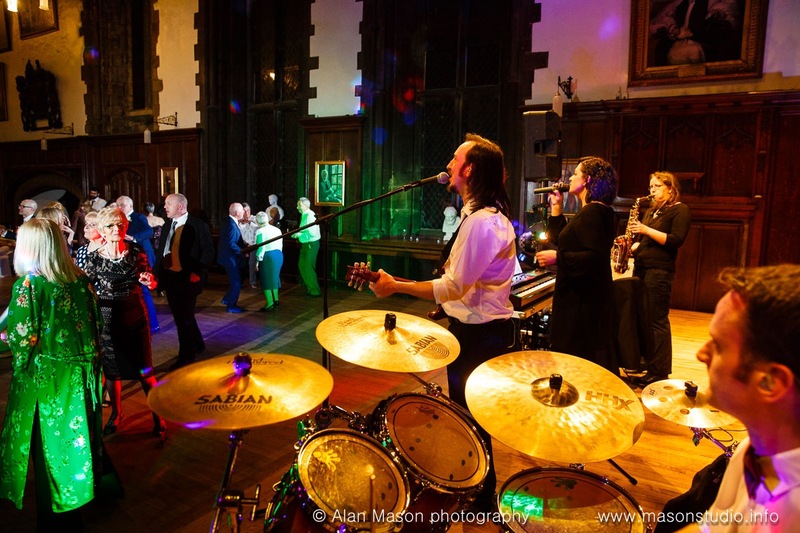 Here we are playing as String Quartet during a drinks reception at a wedding in Ellingham Hall in Northumberland followed by our Ceilidh Band and then party covers Band. Please have a look at some options for combined styles on our Special offers page. The Ceilidh Knights band playing The Dashing White Sergeant at a wedding at Le Petit Chateau in Otterburn, Northumberland. 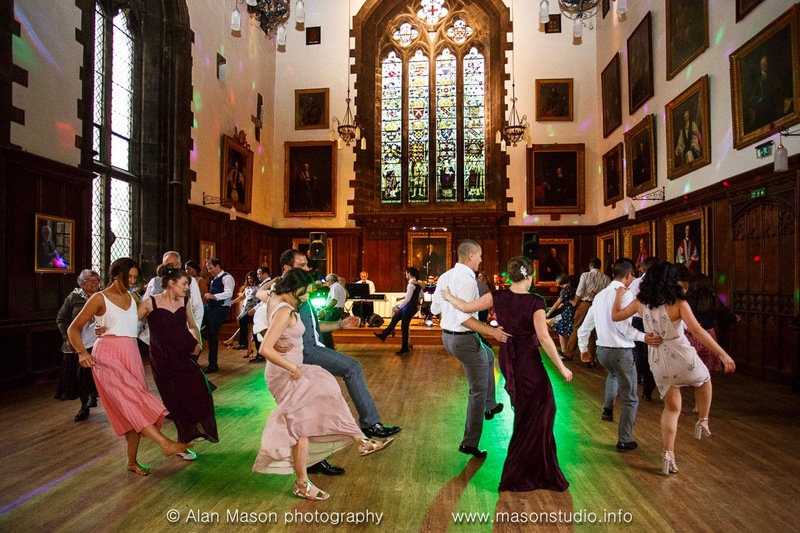 This is a good example of dancing as many of the guests are from Bonnie Scotland and have been Ceilidh dancing since their early school days. Gordon calling and playing keyboards, Jonathan on fiddle and Les on Drums. 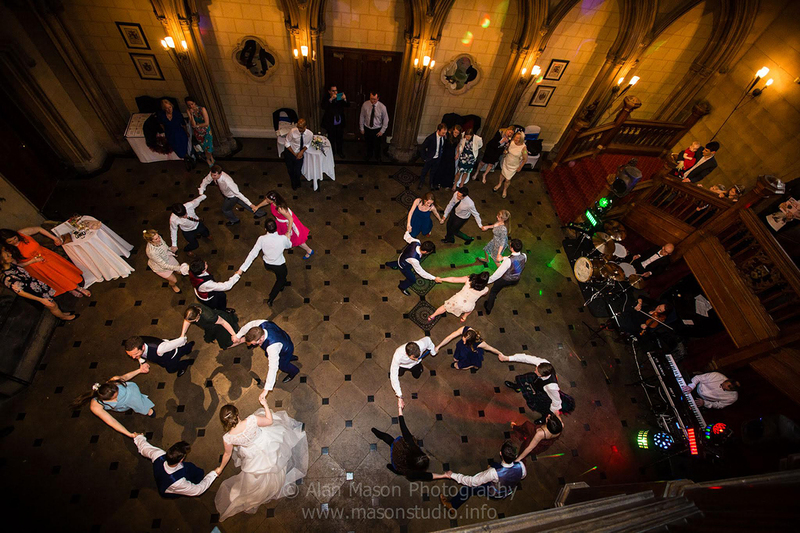 This is an except from Andrew and Sarah's wedding in the Treehouse in Alnwick Gardens with short sections of Strip the Willow, Gay Gordons, Dashing White Sergeant, st Bernards Waltz, Virginia Reel and Canadian Barn dance. Gordon calling and playing keyboards, Jonathan on fiddle, Amanda on bass and Steve on Drums. Knight Muse party covers band performing at a New Years eve party at The Witham in Barnard Castle. 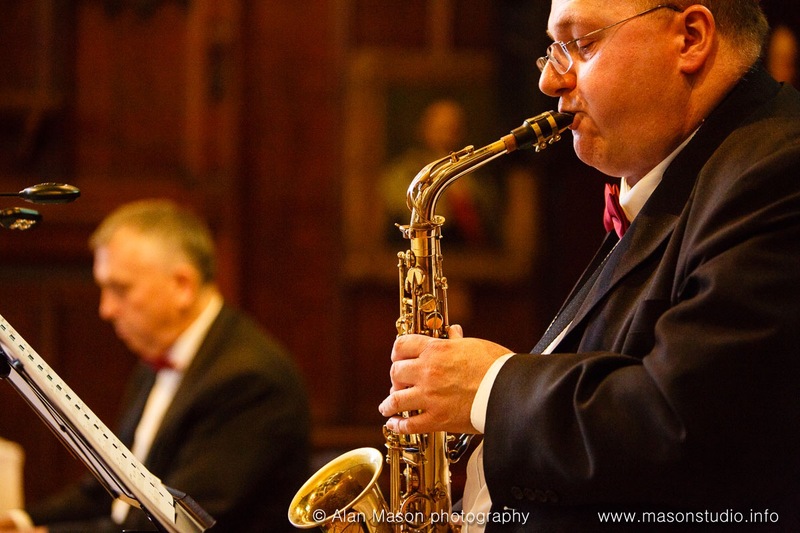 "Sway" as performed live at a wedding in Langley Castle in Northumberland by our Swing Band starting the night off with some background jazz before the 1st dance. This first clip is intended as a quick overview of a family Ceilidh and contains short sections of our instructions and then a little clip of the actual dances for some of the most popular ceilidh dances. Gordon calling and playing keyboards, Emma on fiddle and Les on Drums. Virginia Reel with instructions in Ellingham Hall, Northumberland. Gordon calling and playing keyboards, Jonathan on fiddle and Steve on Drums. Please contact Gordon using the form below and please include the event date and venue so we can check our availability. Alternatively, call on 01388 327 202 or 07768 323 832 to discuss your requirements. Here are some popular tunes which are often requested for Ceremonies. We have a much larger selection of music available in our String Quartet Repertoire list however these may give a few ideas. Maroon5- Moves Like Jagger ~ Aerosmith- Don't Wanna Miss a Thing ~ Bangles- Eternal Flame ~ Black Eyed Peas- I got a Feelin' ~ Coldplay- Viva la Vida ~ Ben E King- Stand By Me ~ Elbow- One Day Like This ~ Fly Me to the Moon ~ Foo Fighters- Everlong ~ Guns n Roses- Sweet Child O Mine ~ Etta James- At Last ~ Journey- Don't Stop Believin' ~ Kaizer Chiefs- I Predict a Riot ~ Killers- Mr Brightside ~ My Chemical Romance- Welcome To The Black Parade ~ Sting- Every Breath ~ Sting- Fields of Gold ~ Jackie Wilson- Higher and Higher. El Tango de Roxanne from Moulin Rouge ~ Godfather Theme ~ StarWars - Cantina Band music. Please Click here to see our String Quartet Repertoire List. 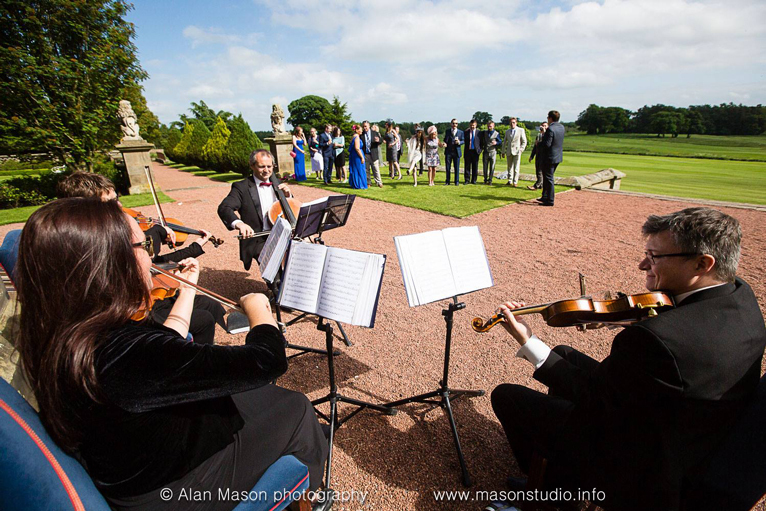 We find the String Quartet is an incredibly versatile group and we can play all styles of music from Bollywood and Hollywood film music to folk tunes or Classic Rock to the latest pop Hits. 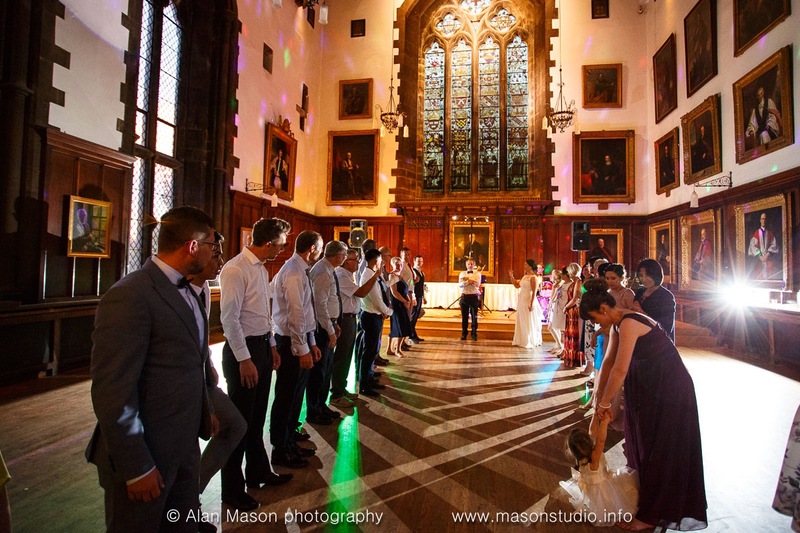 We arrange all the music ourselves so you can have whatever music you want at your wedding. This page is intended to help starting off your very own disco playlist. 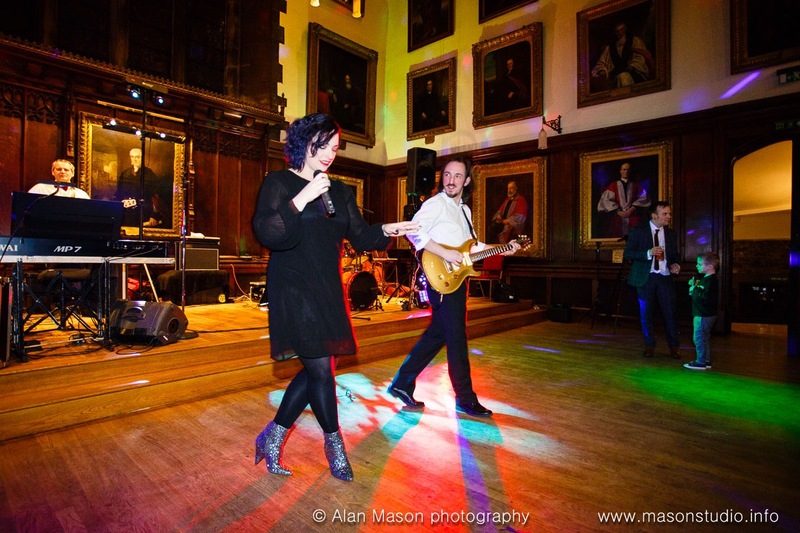 Here are some really good songs to get everyone dancing after the Ceilidh. Here are some of the North East Venues where North East Soiree have performed over the years. 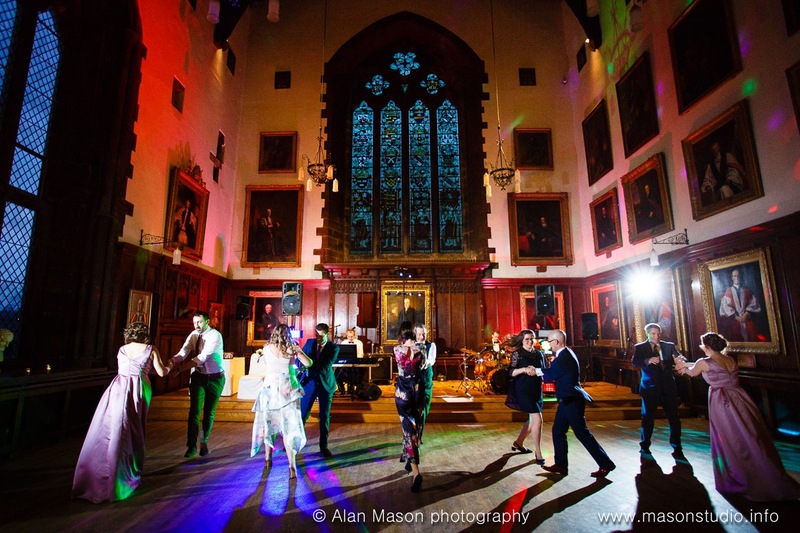 North East Soiree have played sometimes just with one style of music and others with all sorts of combinations of String Quartet, Jazz Trio, Ceilidh, Party Band and Disco. Albemarle Barracks, Alnwick Castle, Alnwick Gardens, Bamburgh Castle, Blanchland Village Hall, Blyth Golf Club, Brinkburn priory, Broomley Grange, Bywell Hall, Chillingham Castle, Close House, Craik Park Morpeth, Cuddystone Hall, Dilston, Dissington, Doxford, Ellingham, Embleton, Eshott Hall, Felton village Hall, Featherstone Castle, Guyzance, Kirkley, Langley Castle, Linden, Longhirst, Matfen, Middleton, Newton Hall, Newton Village Hall (nr Corbridge), Ridley, Slaley Hall, St Cuthberts Church Beltingham, The George Chollerford, Treehouse at Alnwick Gardens, Winter Gardens Hexham, Wood Hill Hall. Backworth Community Centre, Caledonian Hotel, East Boldon Cricket Club, Grand Hotel Tynemouth, Holiday Inn, Horton Grange, Little Haven Hotel, Menzies Hotel, North Shields Rugby Club, Park Hotel Tynemouth, Quality Hotel Boldon, Saville Exchange, Sea Hotel South Shields, Seaton Delaval Hall, South Shields Town Hall, Tynemouth Priory, Tynemouth Sailing Club, Whitburn Parish Church. For a truely memorable event, North East Soiree's String quartet is available to play in any venue and can start any event with a touch of class. The music choices especially for string quartet mean you can have virtually any music you want as the String Quartet is extremely adaptable to any style, can play both inside or out and are able to move quickly to wherever is required. 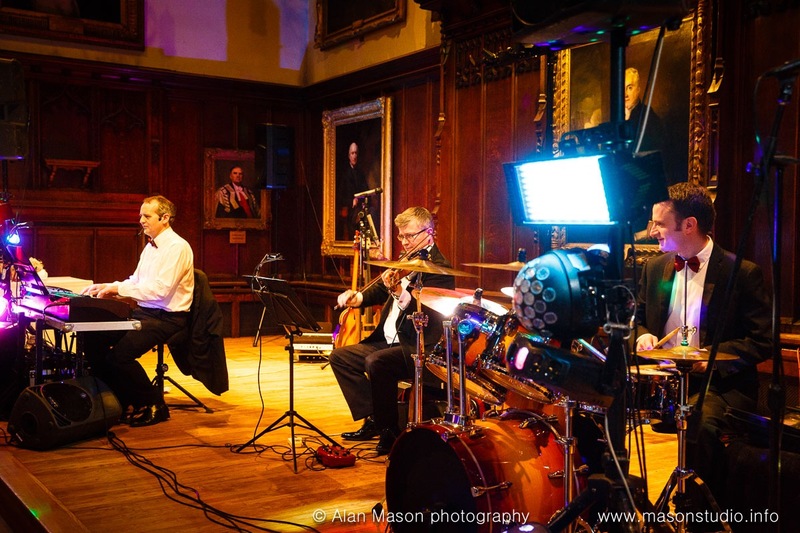 North East Soiree can then turn into a Jazz Trio for background music, a Ceilidh, Jazz Swing or Party Band for all sorts of events, parties and Weddings in and around Newcastle upon Tyne, Sunderland, Durham, Middlesbrough or anywhere from Northumberland through to North Yorkshire. 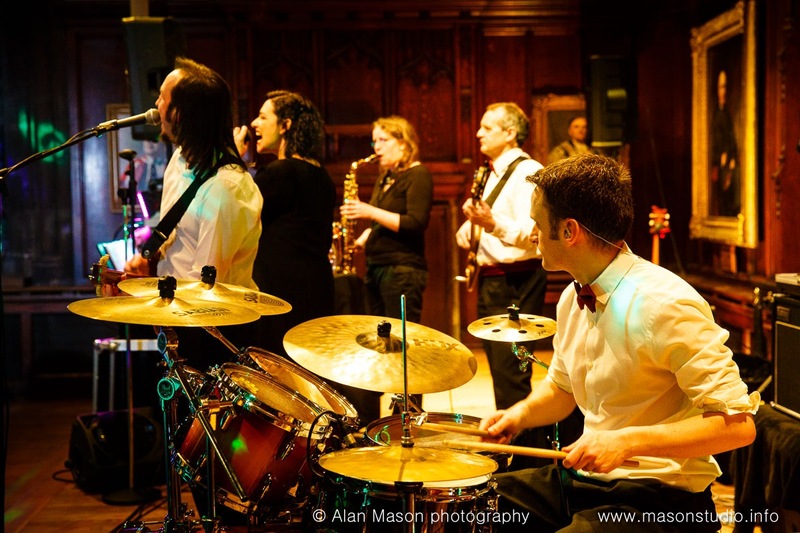 The band can mix any of the forms of music with Jazz or popular music to entertain in whatever style is requested. 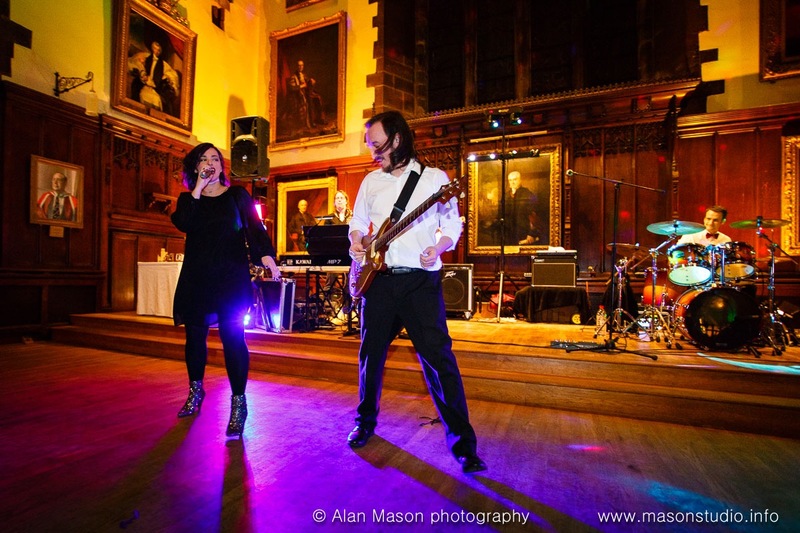 North East Soiree always play completely 100% LIVE MUSIC throughout the North East of England.